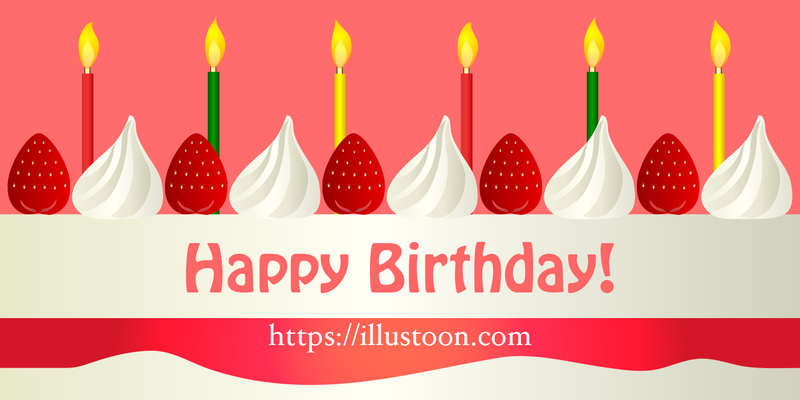 Happy birthday clip art, illustration and graphic design images collection. 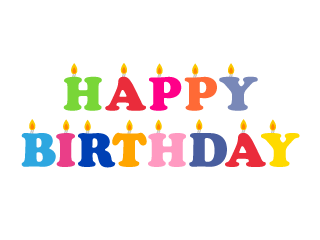 Please use it for children and friends' birthday cards. 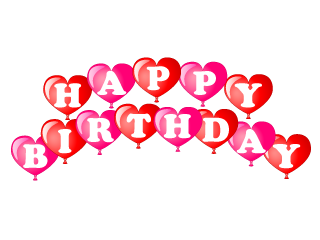 This is a free birthday clip art image of heart balloon of "HAPPY BIRTHDAY". 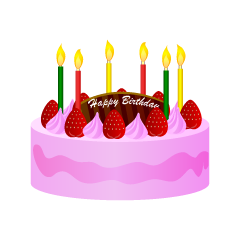 This is a free birthday clip art image of "Happy Birth Day" with candles. This is a free birthday clip art image of cats and "Happy Birth Day". 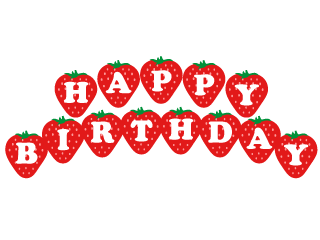 This is a free birthday clip art image of strawberry of "Happy Birthday". 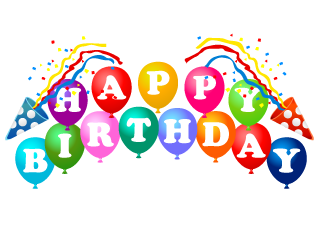 This is a free birthday clip art image of and balloons of "Happy Birth Day". 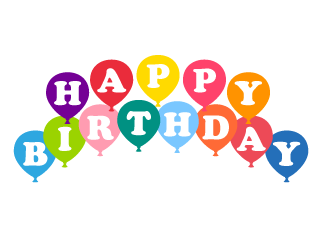 This is a free birthday clip art image of poppers and balloon of "Happy Birthday". 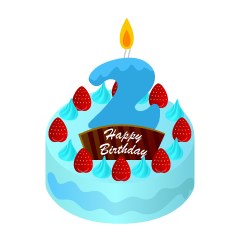 It is a free birthday clip art image of birthday cake with 2 number candle. 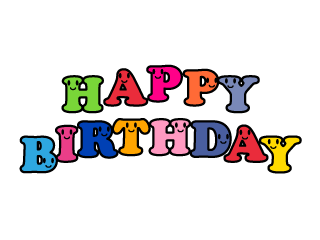 This is a free birthday clip art image of poppers and "Happy Birth Day". 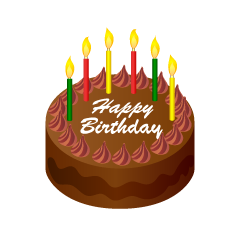 This is a free birthday clip art image of chocolate birthday cake. 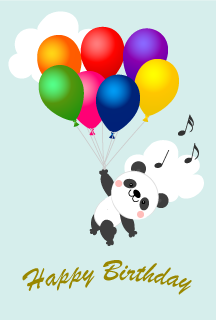 It is a happy birthday card of a panda flying in balloons. 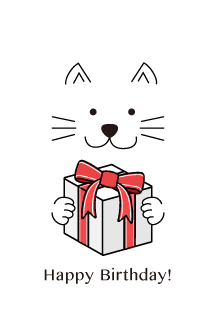 It is a Happy birthday card which designed a white cat simple. 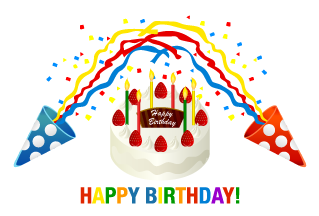 It is a happy birthday card that painted cake and party popper. 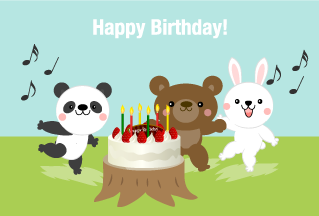 It is a happy birthday card where cute animals party. 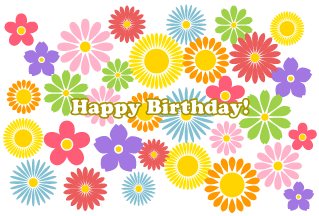 It is a cute flower garden design Happy Birthday card. 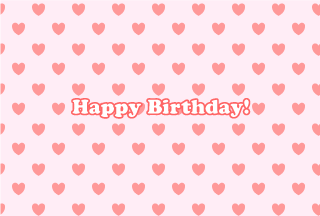 It is a happy birthday card of pink heart pattern wallpaper. 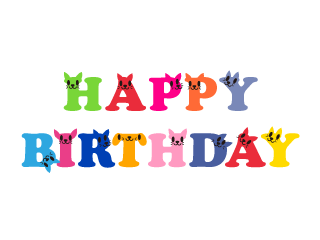 This is a free birthday clip art image of dogs and "Happy Birth Day". 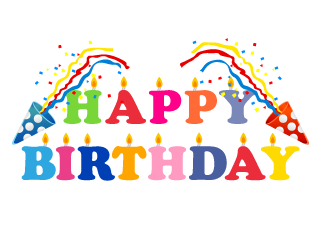 This is a free birthday clip art image of smile "Happy Birth Day". 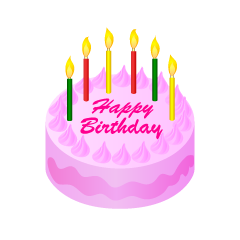 It is a free birthday clip art image of pink birthday cake. 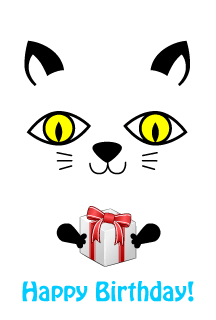 It is a birthday card that designed a simple cat to present. 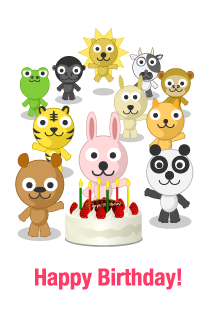 It is a birthday card that cute animals celebrate with Happy Birthday. 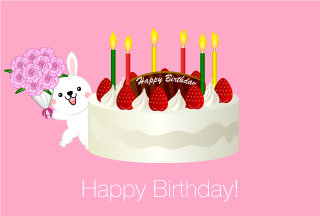 It is a cute rabbit character and cake's Happy Birthday card. 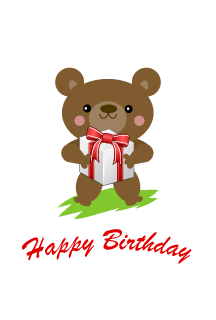 It is a happy birthday card that painted a cute bear with a present box. 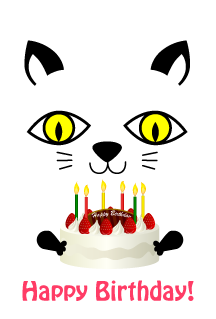 It is a happy birthday card that designed a birthday cake and a cat. 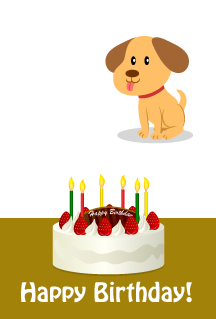 It is a happy birthday card designed birthday cake and cute dog. 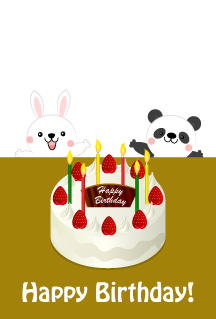 It is a happy birthday card that painted cute rabbit and panda and birthday cake. 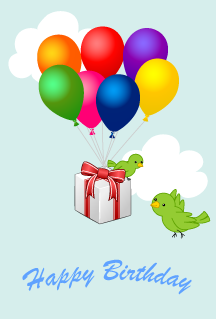 It is a birthday card that painted gift boxes and small birds flying in the sky with balloons. 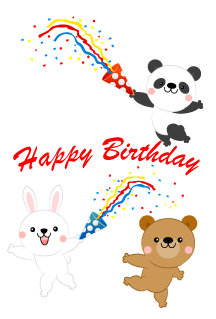 It is a happy birthday card of cute animals celebrating with poppers. 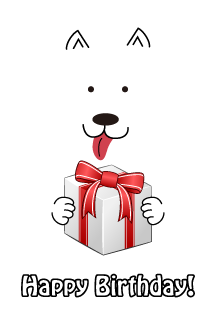 It is a happy birthday card that designed a simple white dog with a present box. 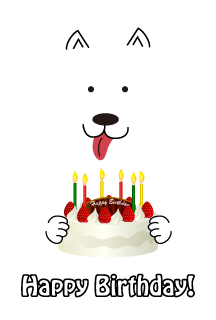 It is a happy birthday card that painted cakes and white dogs simple. 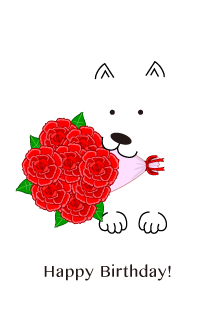 It is a happy birthday card that designed a simple dog with a bouquet of roses. 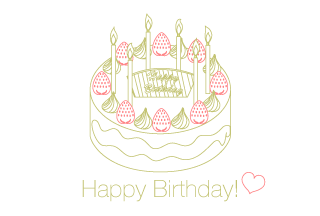 It is a happy birthday card that designed cute strawberry cake. 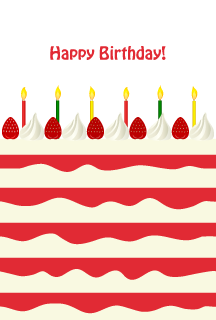 It is a happy birthday card designed with a simple layer of strawberry cake. 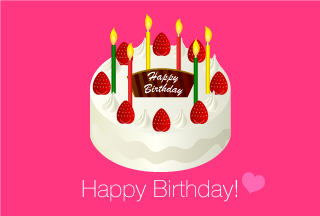 It is a happy birthday card that painted a hole cake on a cute pink background. 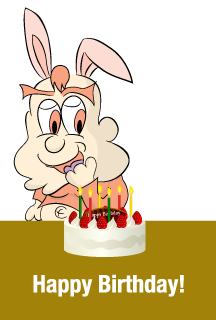 It is a birthday card designed a cute rabbit celebrating with a hole　cake. It is a Happy Birthday card designed a hole drawing cake. 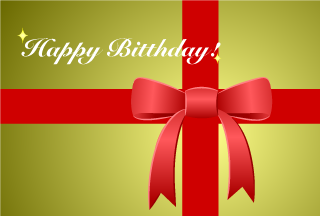 It is a happy birthday card which designed simple red butterfly ribbon on the gold background. 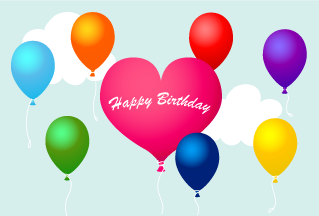 It is a happy birthday card that painted heart balloon flying in the sky. 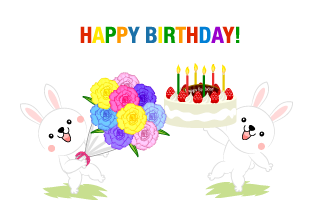 It is a happy birthday card that cute rabbits celebrate. 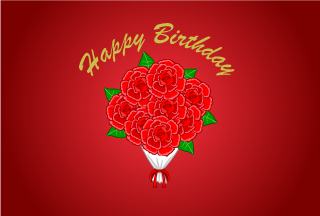 It is a happy birthday card that painted a red rose bouquet. 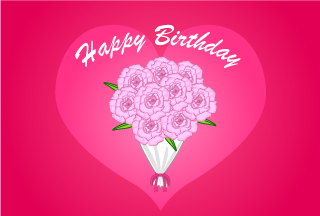 It is a happy birthday card that painted a rose bouquet of pink. 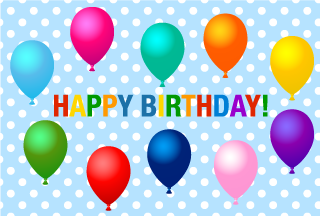 It is a happy birthday card that painted a lot of colorful balloons on the polka dots background. 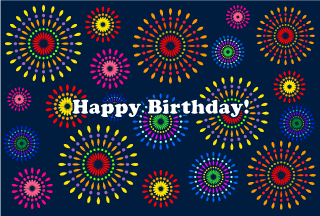 It is a happy birthday card that painted a lot of colorful fireworks. 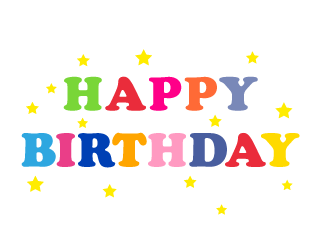 This is a free birthday clip art image of glittering "Happy Birth Day". 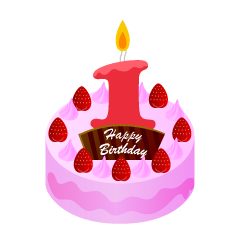 It is a free birthday clip art image of birthday cake with 1 number candle. 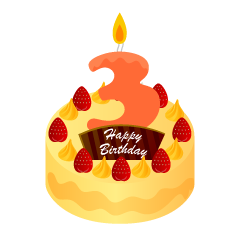 It is a free birthday clip art image of birthday cake with 3 number candle. 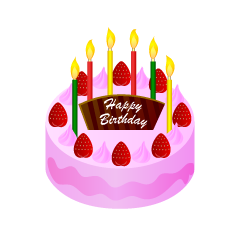 It is a free birthday clip art image of strawberry birthday cake. 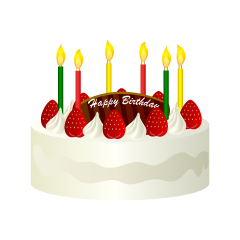 This is a free birthday clip art image of white birthday cake. 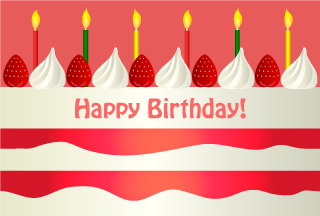 This is a free birthday clip art image of strawberry cream birthday cake. 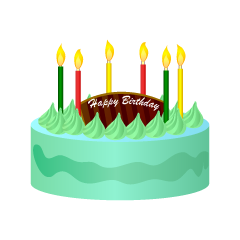 This is a free birthday clip art image of emerald green birthday cake. This is a free birthday clip art image of purple birthday cake. 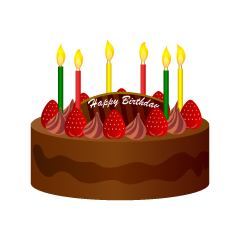 This is a free birthday clip art image of chocolate strawberry birthday cake. 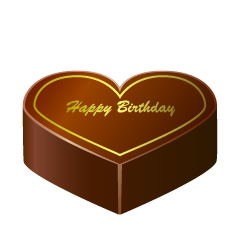 Chocolate coated Heart Birthday cake free birthday clip art image. Chocolate Heart Birthday cake free birthday clip art image.